The Fair Labor Standards Act (FLSA) requires that non-exempt employees receive overtime pay equal to one and one-half times their regular hourly pay for all hours worked in excess of 40 in a week. It also requires employers to pay a minimum wage to most workers. The FLSA does not, however, require severance pay, sick leave, vacations, or holidays, and it does not address break times or maximum working hours. Since Georgia does not have a similar law, the FLSA is the governing law addressing wage and hour and overtime issues for Georgia employees. The FLSA applies to companies which have at least two employees and whose gross revenues exceed $500,000 per year. Even if these requirements are not met, the FLSA still protects all employees whose work regularly involves them in commerce between states. The FLSA also covers hospitals, businesses providing medical or nursing care for residents, schools and preschools, government agencies, and domestic service workers. Federal law does not require lunch or coffee breaks. However, when employers do offer short breaks (usually lasting about 5 to 20 minutes), federal law considers the breaks as compensable work hours that would be included in the sum of hours worked during the work week and considered in determining if overtime was worked. Bona fide meal periods (typically lasting at least 30 minutes), however, serve a different purpose than coffee or snack breaks and, thus, are not work time and are not compensable. The federal minimum wage for covered non-exempt employees is $7.25 per hour effective July 24, 2009. Many states also have minimum wage laws. Where an employee is subject to both the state and federal minimum wage laws, the employee is entitled to the higher minimum wage rate. Various minimum wage exceptions apply under specific circumstances to workers with disabilities, full-time students, youth under age 20 in their first 90 consecutive calendar days of employment, tipped employees and student-learners. The minimum wage for tipped employees is $2.13 per hour if that amount plus the tips received equal at least the federal minimum wage, the employee retains all tips and the employee customarily and regularly receives more than $30 a month in tips. If an employee’s tips combined with the employer’s direct wages of at least $2.13 an hour do not equal the federal minimum hourly wage, the employer must make up the difference. Many employers try to avoid paying overtime by simply paying their employees a salary, even though the employees are working more than 40 hours per week. 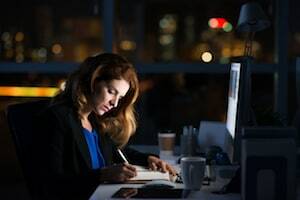 In such cases, the employees may still be entitled to overtime pay if they are non-exempt – i.e., they do not meet any of the FLSA’s overtime exemptions. If you regularly work more than 40 hours per week and you believe that your employer has wrongfully failed to pay you overtime, contact the Atlanta overtime lawyers at Fidlon Legal for an initial case evaluation. The misconception that an employee can agree to waive the overtime pay requirement and accept straight time pay for hours worked in excess of 40. At Fidlon Legal, we can assist you with any of these or other wage and hour issues. If you believe your rights have been violated, call us today for an initial case evaluation. Covered employers are required to keep certain records for each non-exempt worker. Payroll records, collective bargaining agreements, sales and purchase records must be retained for at least three years. Records on which wage computations are based – i.e., time cards and piece work tickets, wage rate tables, work and time schedules, and records of additions to or deductions from wages – must be retained for two years. FLSA cases are often brought as “collective” actions wherein the plaintiff represents a class of similarly situated employees who have had their FLSA rights violated based on a common set of facts. For example, if an employer classifies all employees in a particular position as exempt when they are actually non-exempt. To participate in a collective action under the FLSA, employees must opt in, meaning that they must affirmatively sign a document stating that they wish to be a part of the lawsuit. Employees can bring a claim for unpaid overtime pay for up to two years from the date the pay was earned, and up to three years if the employer’s violation was intentional. Employees who believe their FLSA rights were violated may file a complaint with the local office of the United States Department of Labor’s Wage and Hour Division. In addition, an employee may file a private suit to recover back pay or unpaid overtime, an equal amount as liquidated damages, plus attorney’s fees and court costs. It is a violation of the FLSA to fire or to take any other adverse action against an employee for making a formal or informal complaint about an FLSA violation, or for participating in a legal proceeding under the FLSA. The FLSA and its regulations can often be quite complex and can involve very technical applications of the law. For this reason, if you believe your rights to be paid minimum wage or overtime have been violated, or you have any other wage and hour issue, we strongly recommend that you contact an experienced Atlanta wage and hour and overtime attorney, like the lawyers at Fidlon Legal.